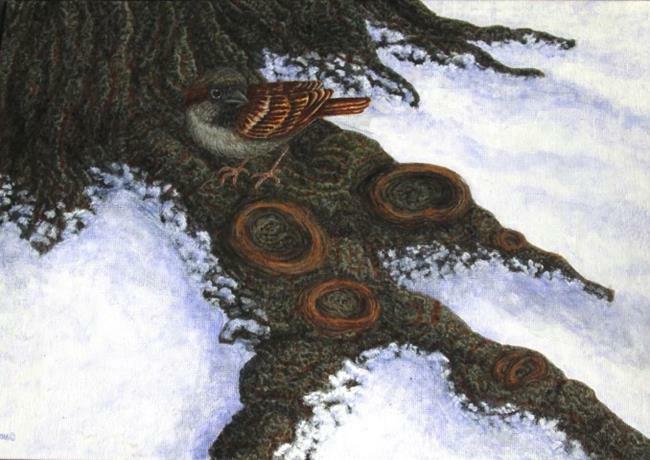 This is an English or house sparrow perched on a locust tree root. I saw this scene out my living room window in the summer & decided it would have better contrast set in winter time. House sparrows are extremely common over their range, but are very pretty when one closely studies all their shades of greys and browns.